The week past was Women in Sport Week. It is a great week to really shout about all the great things that women in sport are doing- the likes of Jessica Ennis Hill who has now announced her retirement from sport. You have Nicola Adams and her success at the Olympics. Women in Sport have a much bigger role now than there ever did before. There is still a huge inequality which can be seen in the likes of football where male footballers earn huge sums whereas women need to work while playing football at the same level because there is not the money in women sport like there is in mens. Slowly but surely the tide is changing and hopefully there will be a level playing field at some stage but just now we just need to continue celebrating the things women do do. 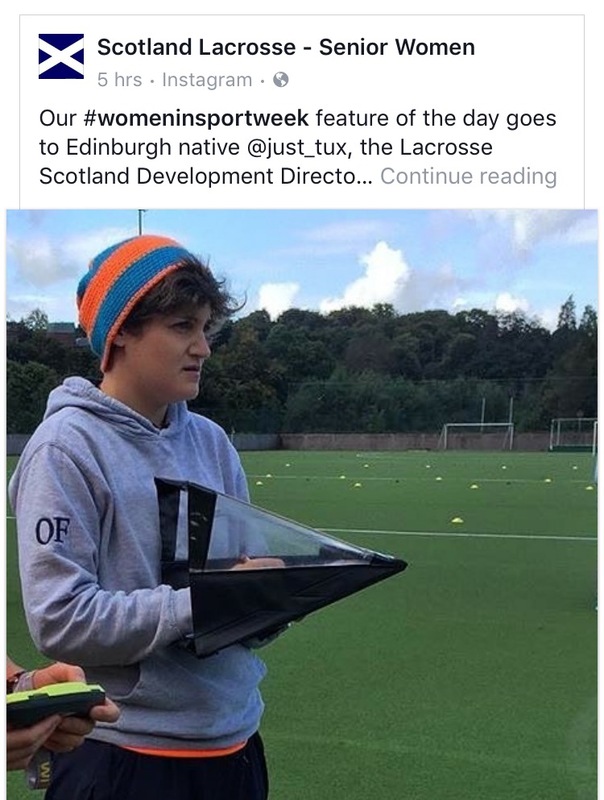 “Our #womeninsportweek feature of the day goes to Edinburgh native @just_tux, the Lacrosse Scotland Development Director and Senior Squad assistant manager, for her continued support of our team and devotion to women’s sport! This was totally unexpected but I am really proud of it and it has given me a boost to just keep doing what I am doing. But later in the week more was to follow. I saw the European Lacrosse Federation also featured me on day three of Women in Sport week. I was really stunned as other features previously were whole teams not just one person. 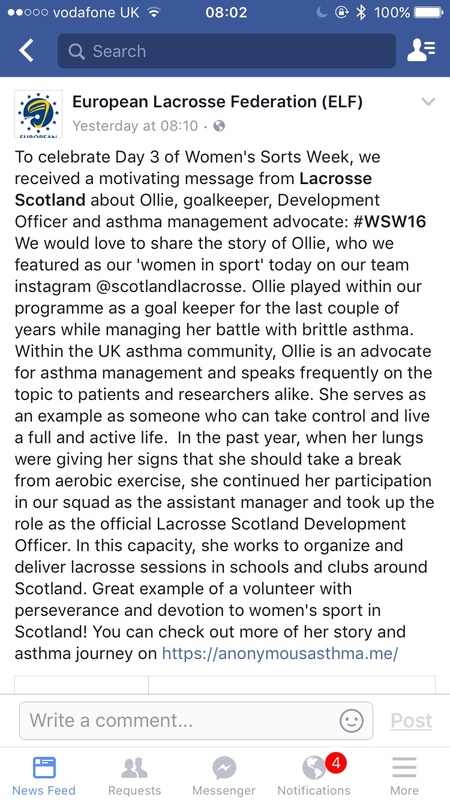 I am really touched and honoured for them to have recognised what I have been doing and if this can put Lacrosse on the map more but also how devastating asthma can be but also the opportunities that asthma can give you! Thank you to everyone who has supported me and helped me to get to where I am.